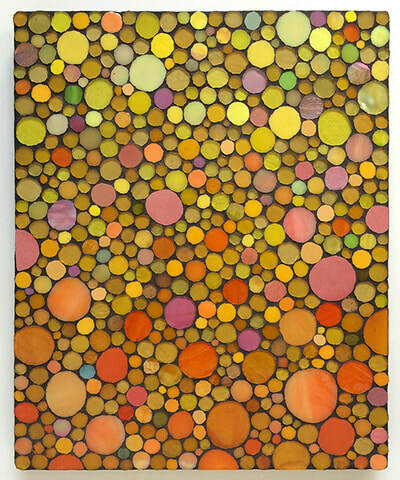 In the Circle Studies I'm searching for the serenity of contemplative spaces. 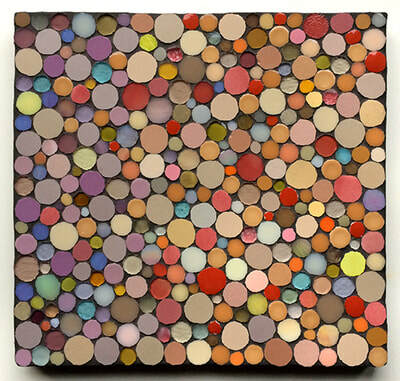 When choosing colors, I have a particular landscape or commonplace, familiar experience in mind. 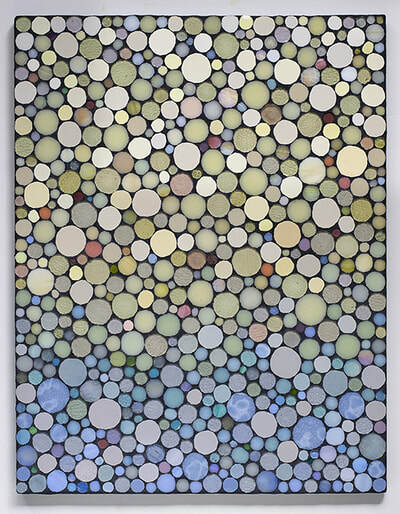 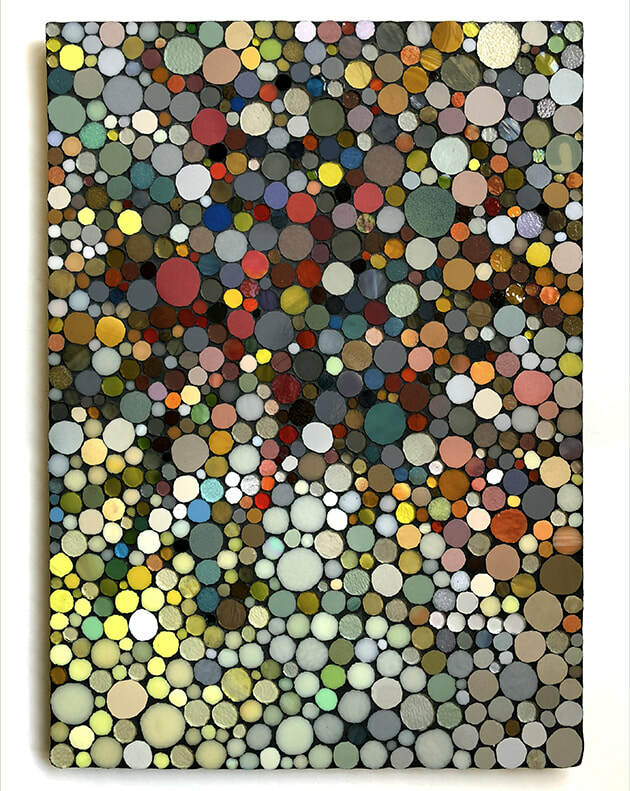 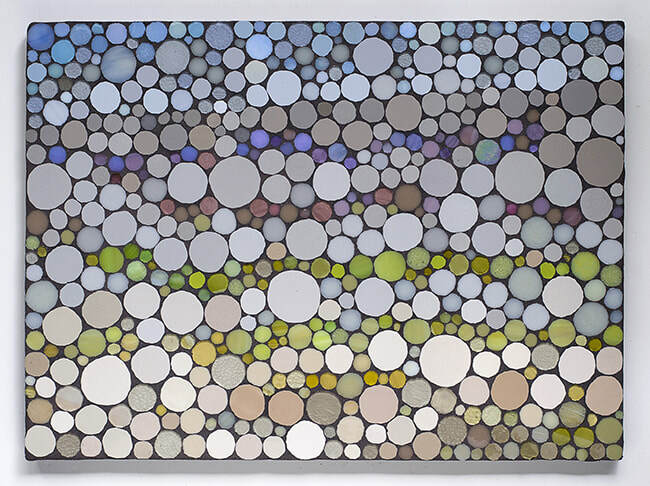 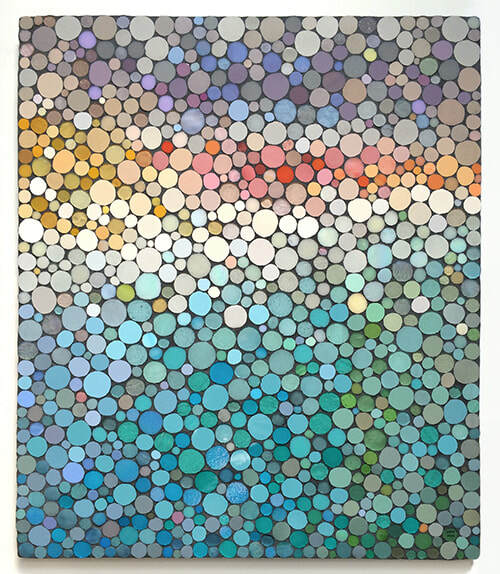 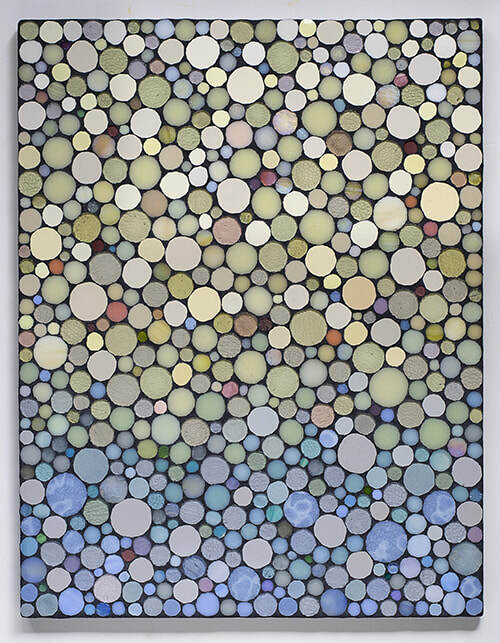 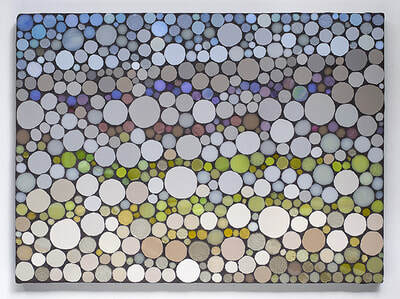 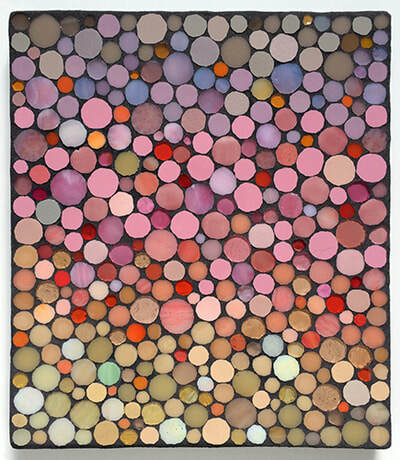 While cutting hundreds of small circles, I reflect on the emotions the colors evoke. 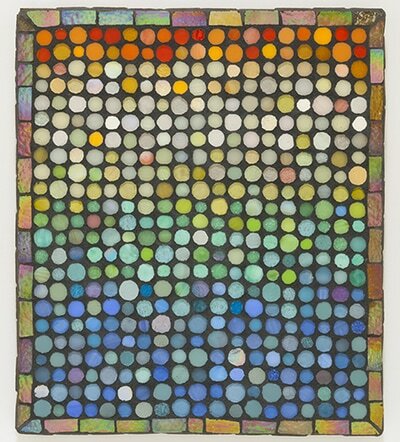 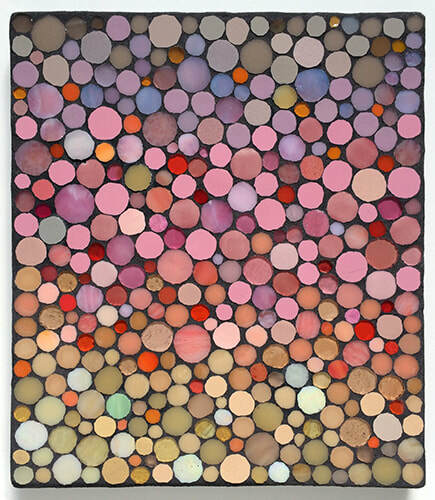 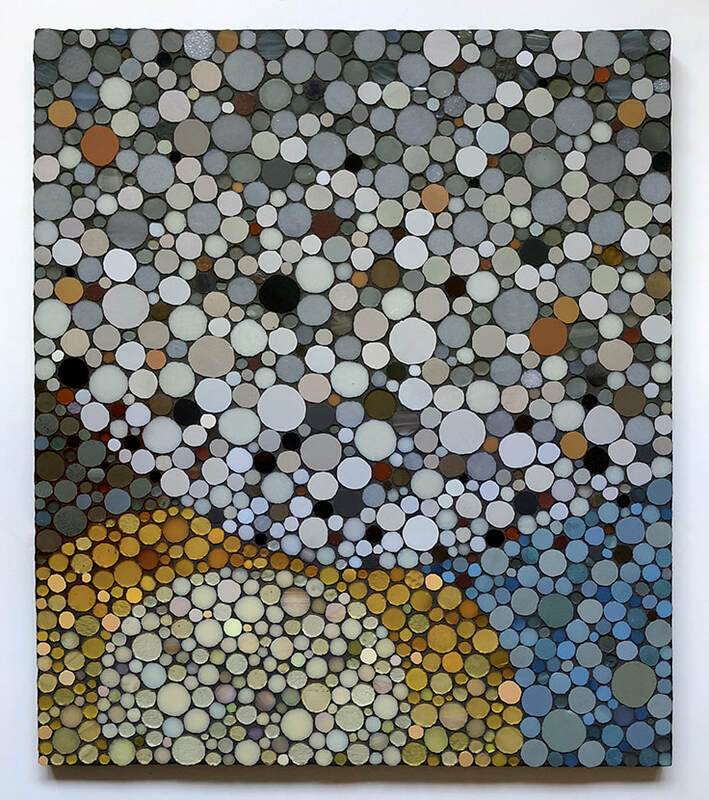 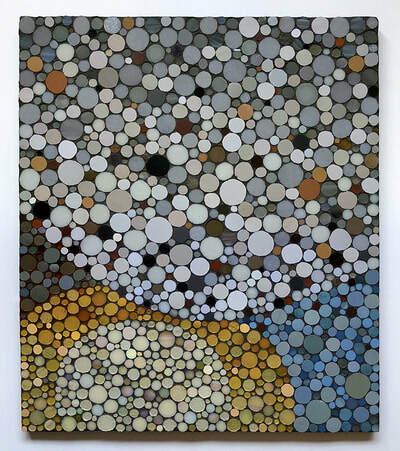 I’m drawn into exploring the relationships between the many colorful circles, and creating a harmonious whole. 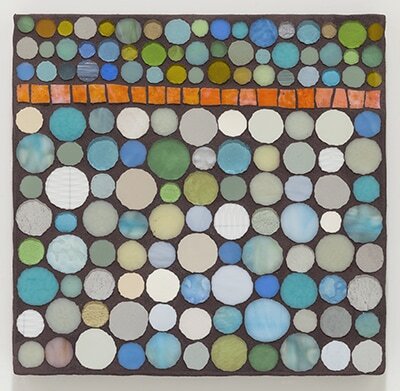 Besides a variety of glass, I also use ceramic tile, unglazed porcelain, cast-off dishes and glass bottles, as well as millefiore. 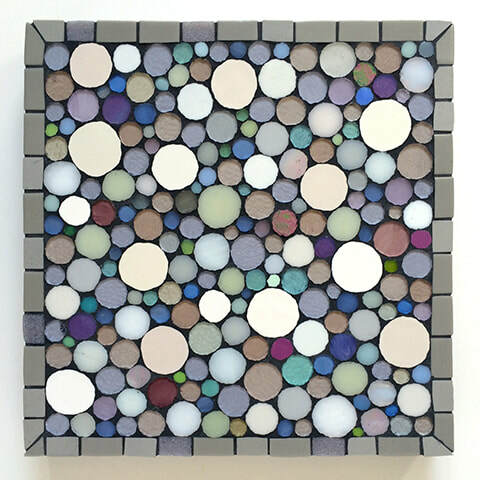 Boundaries, 24 x 21 x 1"
Satisfaction, 33 x 28 x 1.25"
Fresh Start, 10 x 10 x 1.5"
Washing Dishes, Again, 26 x 16 x 1"
Side Walks, 13 x 18.5 x 1"
Circle Study 9, 10.5 x 10.5 x 1"
Circle Study 6, 12 x 10 x 1"